Home Thank you for being part of 92118 Day! Thank you for being part of 92118 Day! We had a blast – see you in 2118! 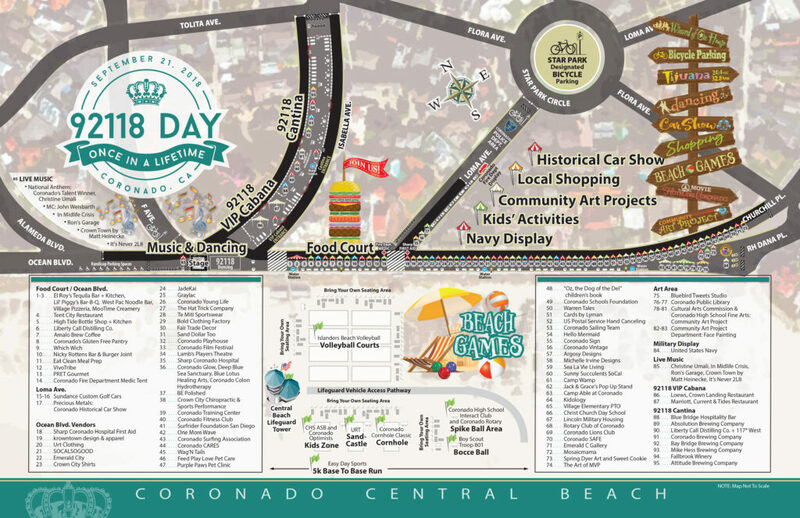 92118 Day is a celebration of all things Coronado that will take place on September 21st, 2018. 92118 is also the zip code for Coronado. The goal is bring together Coronado neighbors to highlight and enjoy the best of the 92118! Plus, having it take place along Ocean Blvd. and our magical Coronado beaches allow the natural beauty of “the island” to be integrated into this once-in-a-lifetime celebration.